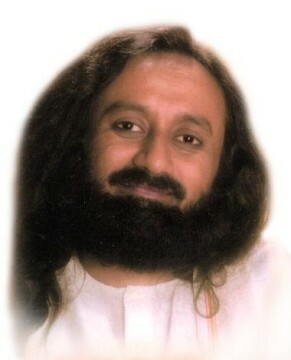 Gurudev, how did you feel when you were six? Could you share in what phase of your life you felt you were fully realized? You know something, I do not feel I am sixty at all. I still feel like I am somewhere in my teenage, just my hair does not show that. I am loosing quite a bit of hair. If the mind doesn’t cling on to the events, it is fresh all the time. It is the overload of memory that makes it dysfunctional. If you can clean your mind every day, you will be very fresh. One thing I can say is, I was very delicate, now I have become stronger. How to stop procrastination and laziness? Can I give you the answer next year, or two years later? Just imagine, suppose a tailor who delivers your clothes says, "I will give it after six months", will you like it? No! You do not like procrastination. You like everyone else to be on time; you want everyone else to act fast, isn't it. So just remember this. If you are procrastinating, check your vitamin D and vitamin B 12. When you are feeling very tired, it can also be because of lack of vitamins and minerals in your system. In Ayurvedic terms, if you have too much kapha, you tend to postpone this. Also, if your mind is stressed you will postpone it to another day. So you need to pump in more energy and enthusiasm. As I am talking, you also have a dialogue going on in your mind. Have you noticed this? I am talking and you are also talking. Some are physically talking and some are mentally talking. You are not aware of it most of the time. Your mind says, 'Yes', or it says 'No. This judgmental mind of yours is a cap on your intelligence, and one day you will become so cynical. Meditation takes you out of cynicism and it gives you a vision to look at life in the present moment with awareness. This is what we need in life and at home. Many times, there are communication breakdowns between brothers and sisters, parents and children, husbands and wives, and this causes disruption in the family. This is what is causing the energy in the family to go down. When this happens, you feel so down and do not feel like talking to anybody. Many times people either go into depression or they get into aggression. To be a normal human being you need sharpness of intellect, softness of emotion, a healthy body and a mind free from prejudice, and meditation provides all this. Our problem is we have lots of prejudice in our mind and we prejudge people. Even before seeing them or talking to them we have a judgment in our mind. Judgment about genders, about age groups; young people do not like to mix with older people and vice versa. Between generations, between genders and between people of different cultures we have prejudices in our hearts and our minds. We need to get rid of this. Don’t you agree with me? Come on, life is such a short period. 80 years of life is nothing. In this vast universe of time and space, our life of 70 or 80 years is like a drop, it is nothing. In this, half the time we spend in sleeping, rest of the time we spend worrying or complaining. Drop all the worry, be enthusiastic and create enthusiasm all around. Do you agree with me? You know, life has many challenges. Not everybody will fall in line with you. If you complain, complain, and complain, will the situation improve? No! Instead, be enthusiastic. There is one Buddha but there are 32 sects of Buddhism. There is only one Jesus, but there are 72 sects of Christianity. There is one prophet Mohammed but there are 7 to 8 sects of Islam. In Hinduism there is no count. As many number of saints have been there, that many schools of thoughts are there. But all of this philosophy has one central point - life is love and compassion, and the whole world is one family. We all belong to each other. That’s why I say that spirituality is something that unites people from all religions. Lord Buddha spoke about three things -- Enlightenment, Sangha (the group) and Damma (the nature). Just imagine you have a group of people (circle of friends) whom you do not have to convince of your goodness; who understand you and who have love and compassion for you, how do you feel with them? A group of people where you do not have to explain yourself because they know. There is such a sense of understanding and harmony. Don't you feel at home with such people? That is Sangha. A Sangha has one point -- benevolence and goodness for all. Buddha said the company of a wise person or enlightened person, or the company of good people will clear you of all the negativity and uplift your spirit. Then he spoke of Damma - get back to you true nature and that will uplift you. The same thing has been said in Hinduism -- Guru, Satsang and Swadarma. The same is in Islam where everybody comes together to eat and pray. That is also a sangha. The essence is there everywhere but its interpretations have taken a beating. 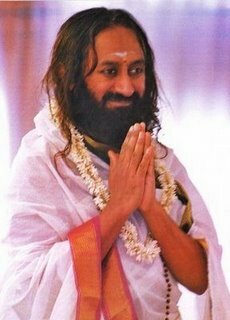 So we need to create a pleasant and vibrant society, a pleasant atmosphere, a harmonious environment and that is what is the sole purpose of all the spirituality or spiritual practices. This world environment day, let us make our environment much more positive and less negative. If a person is positive and less negative, he or she can care for the environment better. Ancient people all over the world always honored the trees, rivers and mountains. They honored them all as divinity because that nature is Divine. The ancient Vedic system called the Earth as mother Earth. The earth itself is a deity. So let’s honor her, honor her life. 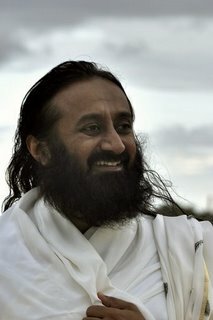 For the short time that we are going to be here, lets spread positivity, lets spread joy and that’s The Art of Living. How do I get over someone whom I have loved a lot? Time will take care of it. Definitely, if someone you love crosses over, grief overtakes you. But see it from a broader angle -- we all have to go one day, someone has taken an earlier flight and we have to take a later flight. When you see the impermanence of everything, you will gain the strength to overcome the grief. Again and again you have to put your attention on the impermanence of everything. My son is always complaining, and this irritates me. He is not happy and even I am not happy. Please speak to him. Even now, when all of us were doing meditation, my son was just kicking his chair. No matter how much we ask for happiness and peace of mind, it still does not come. We are still chasing for money, materialistic world? Never generalize and eternalize everything. When we are in a situation, we tend to generalize and eternalize. Take care not to do that, and be in the present moment. That’s where the knowledge will help you, and meditation will help you.